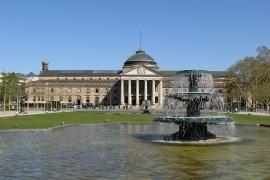 "Bowling Green & Kurhaus Wiesbaden" by Pedelecs - Own work. 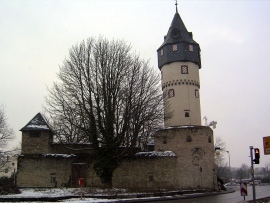 "Friedberger Warte, Frankfurt" by Melkom - Own work. "Justinuskirche Höchst south-east view November 2006" by Eva K. / Eva K. - Eva K. / Eva K..
Hesse is a place many people only know because they arrive in Frankfurt or Frankfurt Hahn by plane – and then often move on after spending a night or two in Frankfurt itself. 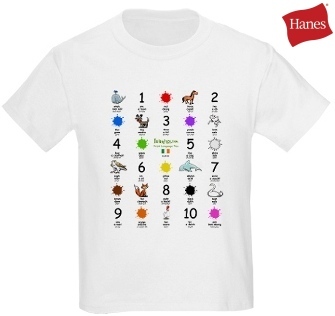 This is a pity because Hesse itself as a lot to offer as a region. 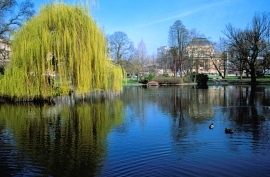 There is the spa city of Wiesbaden, UNESCO world heritage sites, plenty of nature parks for you to explore, rivers to canoe on, rivers to take cruises on, charming villages along the Rhine valley, and so much more! 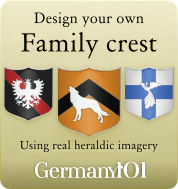 There's something for everyone in Hesse! Unless you would like to come to Hesse for winter sports or would like to make the most out of the warm months to go hiking, it does not matter much which time of the year you choose for a visit. Hesse has a lot of things to offer during each season. If you arrive in Germany by plane, then Frankfurt might be the place you arrive at. The city has more to offer than just the airport though, yet many people only use it as a gateway to other parts of Germany. Don't make that mistake and explore the city. The skyline of Frankfurt is quite an unusual sight for a German city, but there are also less modern places to explore. Many of the neighborhoods in Frankfurt are ignored by tourists who usually just stay in the center, so you will be able to find some hidden gems nobody else usually visits (apart from locals). 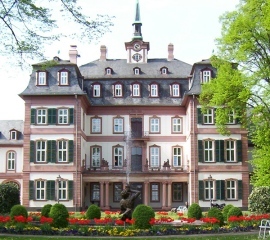 Even though Frankfurt is bigger and is also often seen as the more important city, Wiesbaden is the actual capital of Hesse. It is also quite attractive for visitors as it is historically a spa town, and today you can enjoy a wonderfully relaxing holiday in one of the fine hotels. There are still 14 hot springs, some of which you can visit and use. 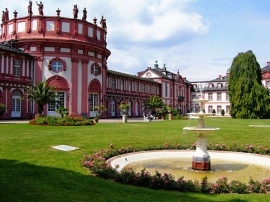 Of course Wiesbaden also has its fair share of historic buildings, galleries, gardens, parks, and museums. With 878 meters, this is the highest mountain in the area. There is an observation tower on the summit. Getting to the summit is not a challenge. While you may decide to hike there from the bottom, you can actually take a ski-lift up to the summit or drive up with a car or bike. This also leads to the fact that you usually won't be alone up there. For people who have an interest in nature and geology, a visit to the geo nature park Bergstrasse-Odenwald is something that should not be missed. You can learn something new, just go for a walk, or simply relax in the beautiful surroundings. Rüdesheim is a rather touristy place, but for a good reason. There is not just one castle, but three (though one is only a ruin). It is also located in the romantic area of the Rhine Valley which draws many tourists because of its lovely scenery. If you have watched “The Name of the Rose”, then you might already be familiar with one of the historic buildings in Eberbach. The Eberbach Valley had been used as a location in the famous movie, and is thus also a quite popular for visitors. 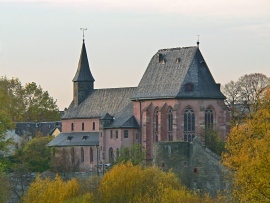 You might want to spend a night or two in Eberbach to have a look around and visit the abbey. If you enjoy canoeing, then the Lahn River would be the ideal destination for you. This river is fantastic for canoeists. If you don't feel like canoeing, then you could go on a cruise on either the river Main or the famous Rhine. When you are in Hesse, you definitely should not forget to spend a few hours on the water as the rivers play such an important role for this area. 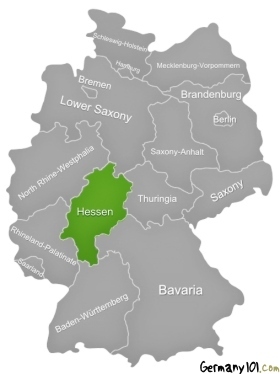 Hesse is an area in which you usually should not have a problem with English. People are used to visitors and most Germans in Hesse speak English well enough to communicate with you if you speak clearly. Getting to Hesse is easy thanks to the big airport in Frankfurt, and also Frankfurt Hahn, which is the airport used by budget airlines (about 100kms from Frankfurt itself). Getting around is also very easy as there are plenty of trains, trams, buses, and good roads. Hesse is a great place to cycle or go on a motorbike tour. During busy seasons like the summer holidays, you might want to book your accommodation in advance as some hotels are booked out during the main seasons.